The Homeschool Buyers Co-op is pleased to present GroupBuy savings for LitWits Literature Kits at deep discounts from LitWits. LitWits Literature Kits engage students from ages 8-12 with carefully integrated lessons to experience literature using a sensory approach. When students experience a story firsthand, it's easier for them to relate to the characters, and understand the impact of time and place. 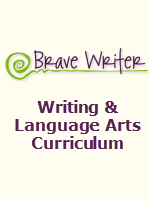 By using an immersive, meaningful approach LitWits Literature Kits engage students with hands-on project and activity ideas allowing the reader to taste, touch, hear, and smell a story. 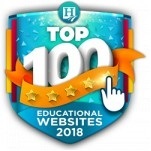 With unique hands-on lessons, printable templates & prompts, sensory prop suggestions, takeaway topics and academic handouts (with keys), students can experience well known literature books, such as Treasure Island, Island of the Blue Dolphins, The Hobbit ... and many more! Visit the LitWits website for more information. See a sorted list of LitWitted books. Fulfillment: Within minutes of order placement, the Co-op will forward your order to LitWits for processing. Please allow 3 business days for LitWits to process your order and send a "Getting Started" email with your access information. If you do not receive this email within 3 business days, please check your spam or junk folder. Shipping: LitWits Literature Kits are digital products. Shipping charges do not apply. Returns/Cancellations: In order to bring you these great prices AND because this is an electronic delivered product, we cannot accept returns. Please be sure to preview this LitWits Kit and the LitWits website BEFORE making a purchasing decision. Enter a quantity of 1 in the QTY field above. Choose Three (3) LitWits Literature Kits in the drop down boxes above. Travel through time with LitWits Literature Kits. Students will participate in the characters' experiences, handling interesting items, listening to traditional music, recreating objects, and dining on food from the literature books. 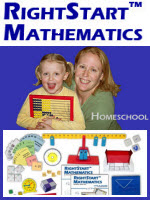 Packed with web pages, homeschool parents will have access to downloadable-templates, activity aids, academic handouts, and more. Since the kits live online, parents will have access to useful information and audiovisuals. And you'll always have the very latest updates! A PDF version is included for easy printing. 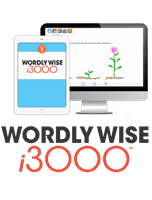 Click here for a complete list of LitWits Literature Kits and product info! 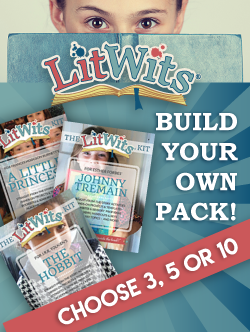 Choose Five (5) LitWits Literature Kits in the drop down boxes above. Choose Ten (10) LitWits Literature Kits in the drop down boxes above.